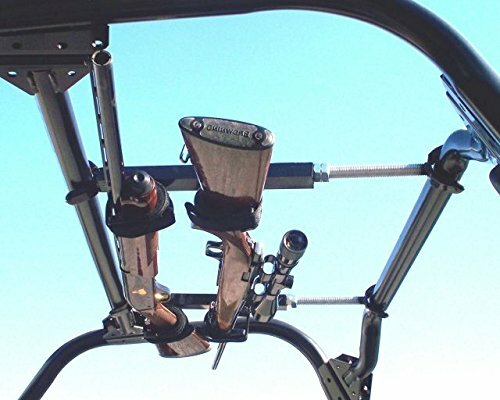 Our quick draw overhead Gun racks are the perfect way to safely keep your firearms at your fingertips. Ready for action. Also, for utility vehicles with covers on the top, your firearms stay totally protected from the elements. Quick draw overhead Gun racks hold two guns securely in the inside roof area of All popular brands of TV's. These racks feature super-soft rubber Gun clips that provide easy access and secure transport. Our unique mounting system installs in just minutes without any drilling or bolting. Aircraft aluminum construction.